Continuing with the regular improvements on our products, this week, we has successfully updated 3 Joomla templates and 7 Joomla extensions. These templates and extensions have been fixed with some small bugs to access the best performances. Moreover, they are carefully upgraded to be compatible with new Joomla version as well as 3rd components versions: VirtueMart 3.0.0, Adsmanger v3.0.3,... You can read through the below list and pick up your ones. Hope this information is useful to you! Tell us idea about these updates by leaving your comment here. 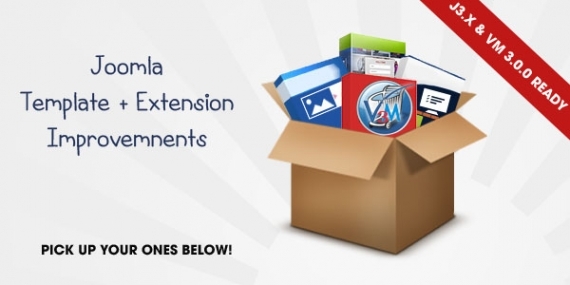 You can also check on our Responsive Joomla Templates and Responsive Joomla Extensions to find your interesting items. Hope this helps.